Hey guys! For the month of April LynB Designs will be joining the HHC (Hella Handmade Creations) line up with this beautiful polish inspired by David Rose from Schitt’s Creek. I have been eagerly awaiting being able to share this post, as I swatched this polish a few weeks ago and have wore it at least twice since. It is truly a new favorite for me! 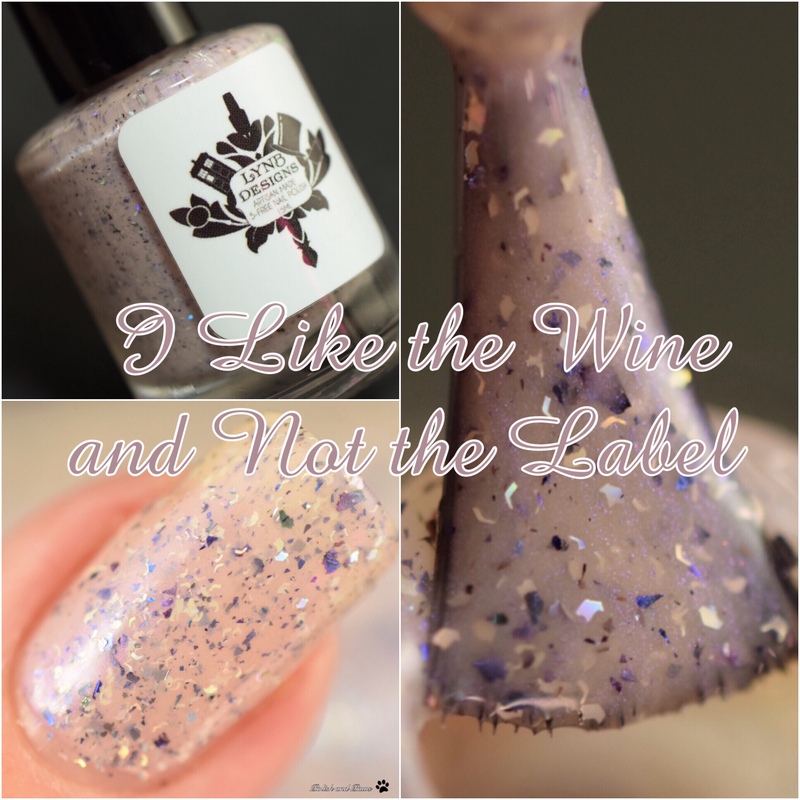 I Like the Wine and not the Label is described as a pale peachy base with holo micro shreds, blue to indigo to purple to copper UCC shifting flakies, and a hint of purple shimmer. This applied flawlessly in 3 thin coats. I had no problems and all the flakes and shreds layed flat. Sealed with glossy top coat. I always get excited about Jenna’s flakie polishes, but this one is definitely my current favorite. Between the neutral base color and the purple contrasting shimmer it just speaks to me. I wore this for 3 days after swatching it and really didn’t want to take it off. ‘I Like the Wine and not the Label’ will be available from Sunday, April 14th to Sunday, April 21st on Hella Handmade Creations. It retails for $13 and will be capped at 90 bottles. Click through here to start your wishlist!